This is one of the best bath bombs I have ever used. It's huge - and very pretty! 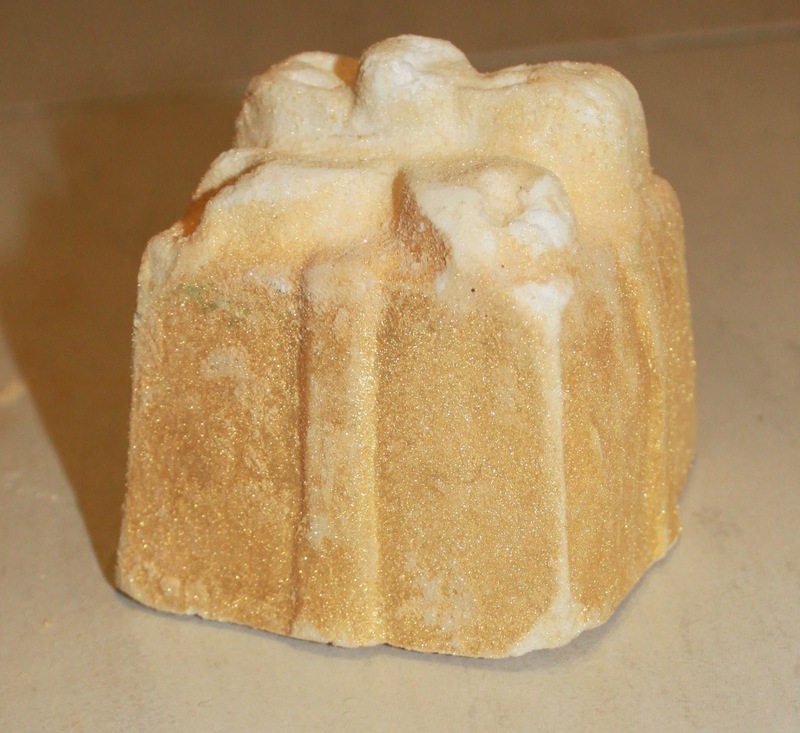 I love this bath bomb as it smells of fizzy champagne and citrus. It looks gorgeous with it's cream ribbon and sparkly gold wrapping paper. But don't be deceived! There is definitely something special inside this present! 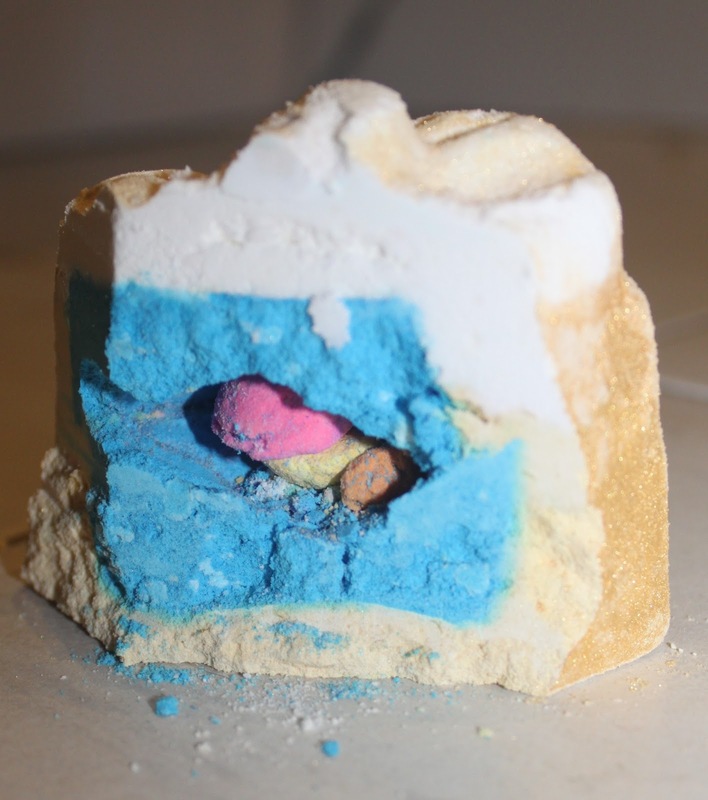 Inside the golden outside is a gorgeous blue colour, and on the side of that are smaller bath bombs!!! This is by far the funnest bath bomb I've ever had. I knew there was something inside as I shook it before I put it in the water! Once put in the water it starts fizzing yellow, and then changes into blue. It's so pretty, and left my bath blue and shimmery. I also read the reviews to this online, and saw that there was meant to be little paper stars in this, but I didn't see any. 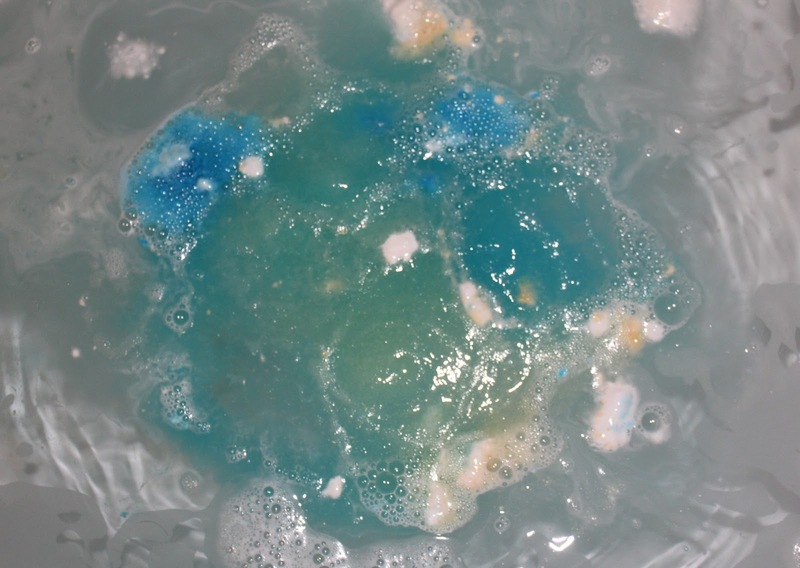 I love Lush bath bombs, and there's something about them that makes me feel really luxurious when using them. I've always loved Lush products, and this is one of my favourites so far. I have a few more bath bombs to try out, so I'm excited to share them with you! Hope you enjoyed reading! This looks lovely! I LOVE Lush - I'm also a drama/theatre student and at times am in the same boat as I'm also mega beauty obsessed and blog about beauty,fashion and life. I'm df a new follower of you blog and twitter and would love you to check mine out and maybe follow back please? Nice post! I love the golden colour of this bath bomb! I'm a new follower :) Thank you for checking out my blog and following, it means a lot.